Spain has gone through many changes, but always proves to be a force to be considered in any modality. In 2012, in Revelations Era, a combination formed by the most assiduous and experienced warriors in Manhunt took up the gauntlet to defend the country in the World Series. Personalities like chica-rai, javiiii1994, nacho_casanova or gokuslocos, were accompanied by large values as gokuslocos, ivan-onne, Sergi_7m and wutan-fan. 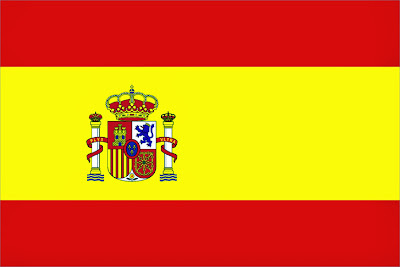 In that tournament Spain showed intelligence and mischievousness. They qualified in extremis for the final, which they lost. In the World Series – Artifact Assault 2012 just few teams could face them. Perfect rapport, mobility, covering spaces, rotations,... an elegant and attack game but with a quick and accurate defense. The dream team who wins the tournament being the truly best. In 2013, in the Animus 3.0 Era, their level dropped much in both categories. The Artifact Assault team was juancho_92, the Animus Knight, honest and intelligent player, good in many ways and positions. Sandrita_93, one of the best thieves in the Artifact Assault. javiiii1994, whose dedication and ambition led him to have his name, at least, in the Top 25 of the best players from Spain. chikita_kalzada, who always reached high positions in Assault and topearticuno, the wildcard, the secret weapon, the unpredictable. A very well combined team, full of new ideas and strategies and with a solid foundation formed by the clan The Elite Templars. But they fall in the group stage. In World Series Manhunt 2013, raul8piper, one of the Spanish players fitter at that time, took command and renewed the team with incombustible1, suerte202, Ivansito91 and anysimirok. Unfortunately, did not go beyond the group stage too. Good players always, but never a team. In Deathmatch 2013, raul8piper won in a difficult category full of Animus stars of all the countries. World Series 2014 started so good for Spain. A new World Series category, Manhunt 2vs2, was won by the 2 best players in Manhunt in that time: Kahlan-_- and Viloisien. They won all their matches convincing with its play and its effectiveness.